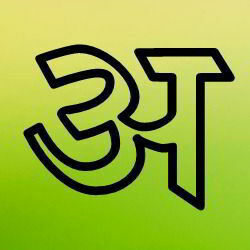 Creative Stand Alone Creative outlined chanakya Hindi font. Same chanakya Hindi font but in outlined version. No need to use extra tools to create outline effect for chanakya font when you use this font. Bold outlines can be also viewable when font size is small. We often see outlined Latin fonts but in Devanagari these are rare. So if you want a outlined Devanagari font this is a good option because chanakya font is a popular font. Font size font this font is 18px or more is recommended. This font is a good choice to give your project creative look. Font name: Chanakya Outline, zip size: 40.23 KB, Download font.